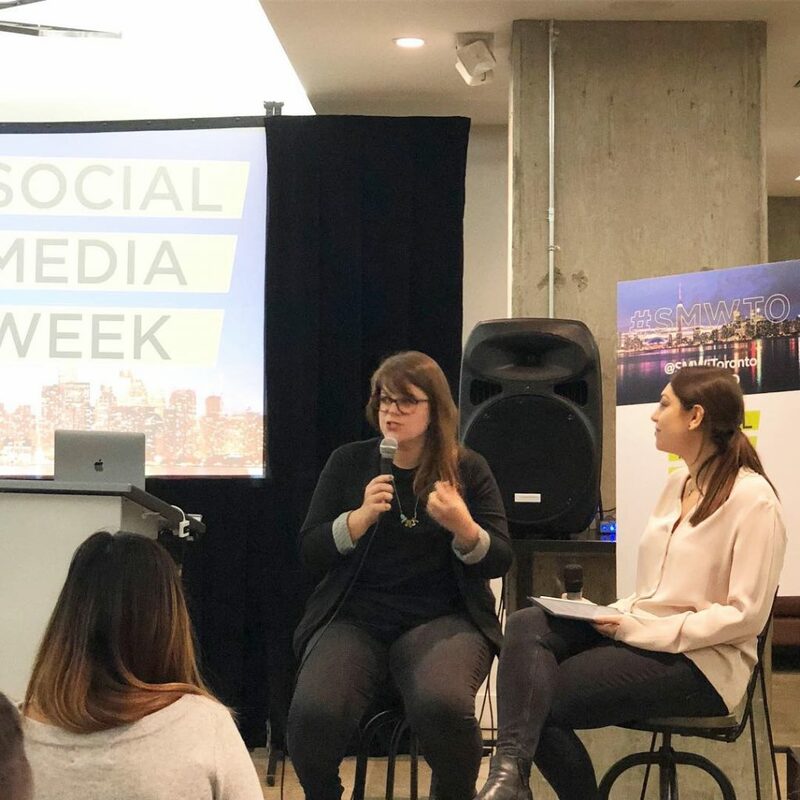 Toronto Social Media Week 2018 was a huge success! From the bottom of our hearts, a big thank you to all of our wonderful speakers, sponsors, staff members, volunteers, and attendees. 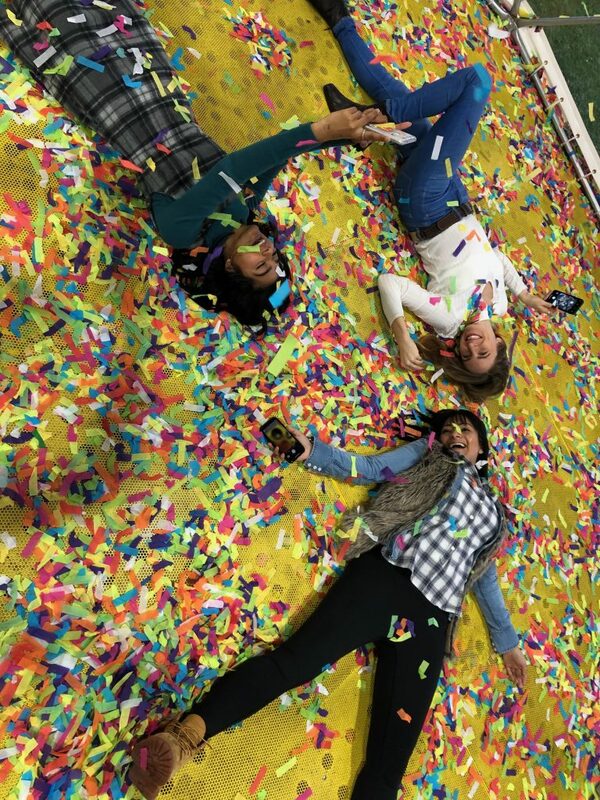 We couldn’t have done this without you. Year after year, the #SMWTO community continues to blow us away with their support, encouragement and endless enthusiasm. 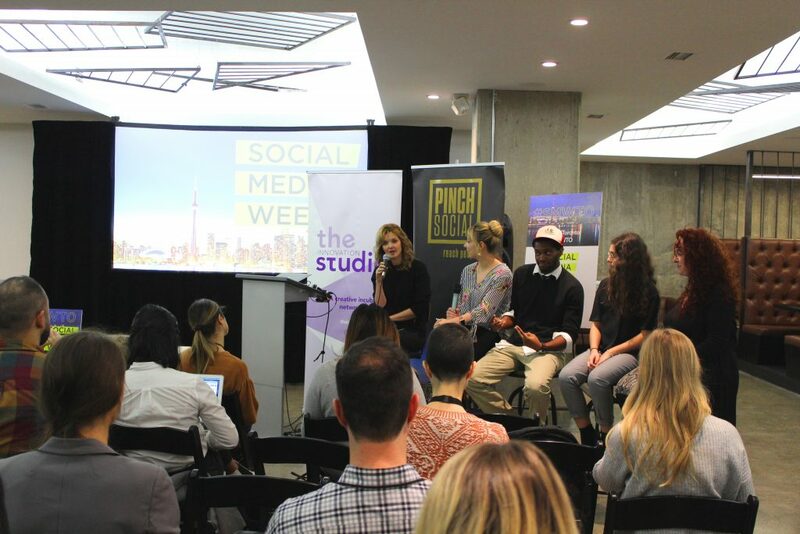 While we’re already so excited for next SMWTO 2019, we wanted to share this year’s highlights with all of you. 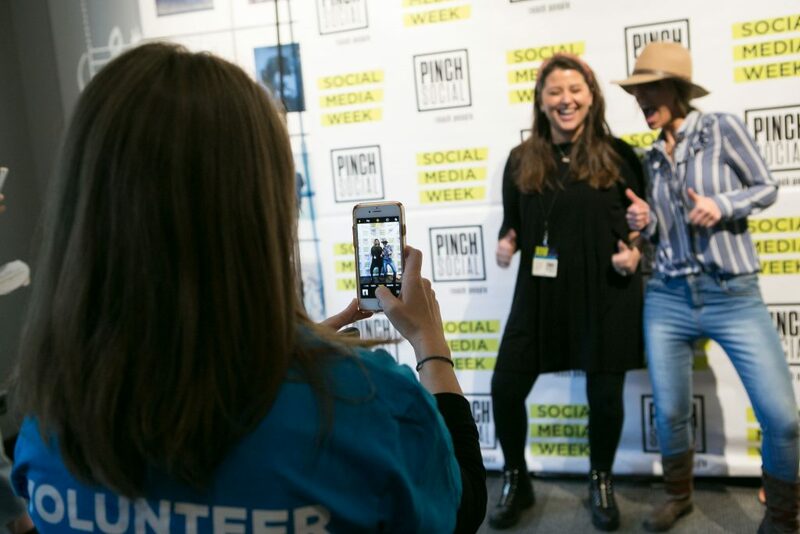 Click HERE to see all SMWTO 2018 photos and check out some of our favourite images below. SMWTO kicked off with an amazing first day. Our speakers and panelists rocked the stage with inspiring and valuable discussions. For the first keynote of the day, we learned all about LinkedIn Influencers from “The Oprah of LinkedIn” herself, Goldie Chan. 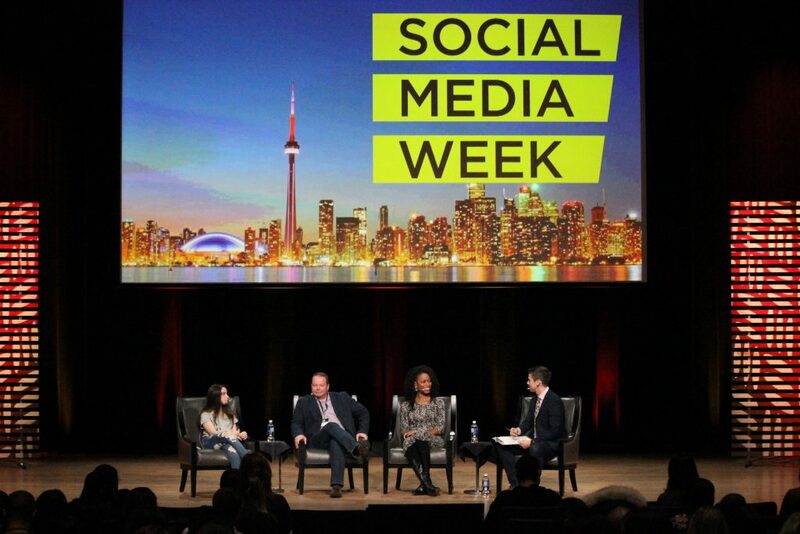 The inspiring 15-year-old Hannah Alper gave a talk on social media activism and joined Bee Quammie, Chris Boddy and CBC’s Chris Glover on a panel about social media for good. Pictured above, “Meme Queens” Lola Tash and Nicole Argiris of Instagram mega-fame @MyTherapistSays shared their experiences on creating viral memes for millions of followers in a panel hosted by Major Tom. We capped off day one with an opening party at The Thompson Hotel. 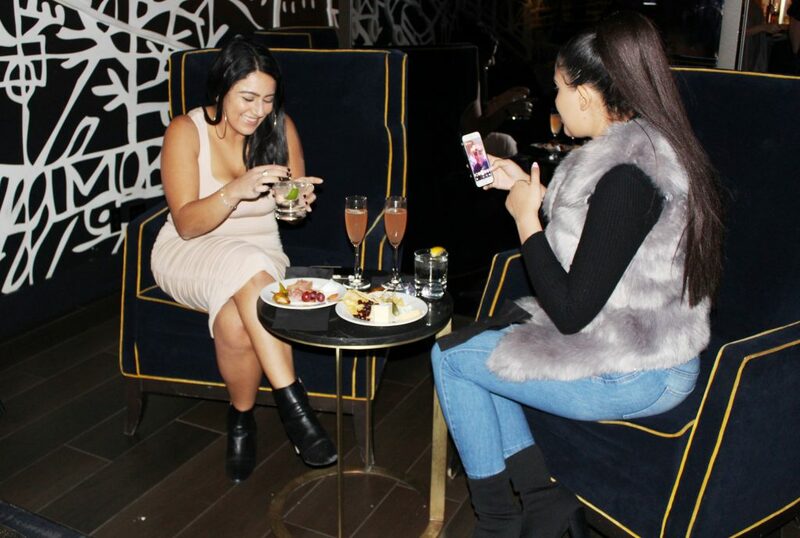 Guests enjoyed the chance to let loose with fellow festival attendees while networking with Toronto’s most socially influential media users. The fun and learning continued during Day Two at Glen Gould Studio. 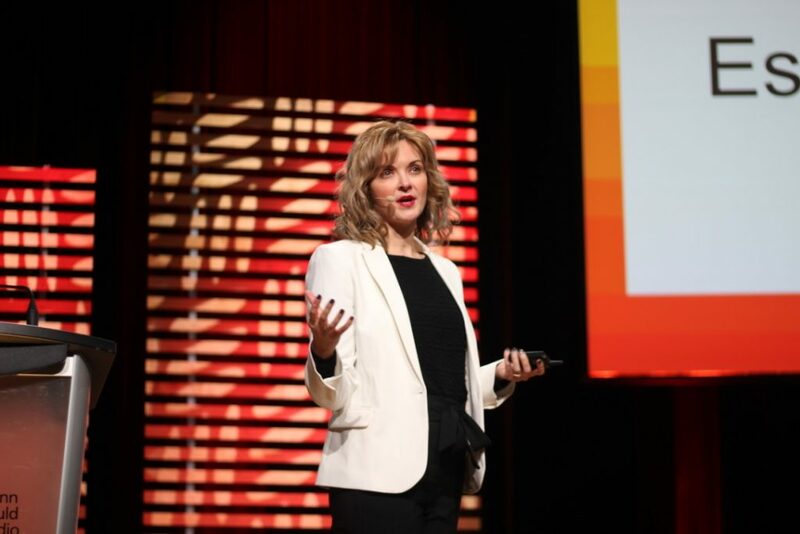 Aletta Brandle, Social Media Strategist at The Globe Content Studio shared why Pinterest, WhatsApp, and Reddit are three social–media platforms we should consider adding to our social media strategies. Director of The Innovation Studio at Ryerson University and CBC Tech Columnist Ramona Pringle gave an eye-opening talk about our relationship with social media and shared practical tips on how today’s busy world can “escape the dystopia” and integrate technology and social media into our lives in a healthier, more balanced way. The last day at Glen Gould Studio concluded with a talk by Anxiety Ownership Expert, Julian Brass. 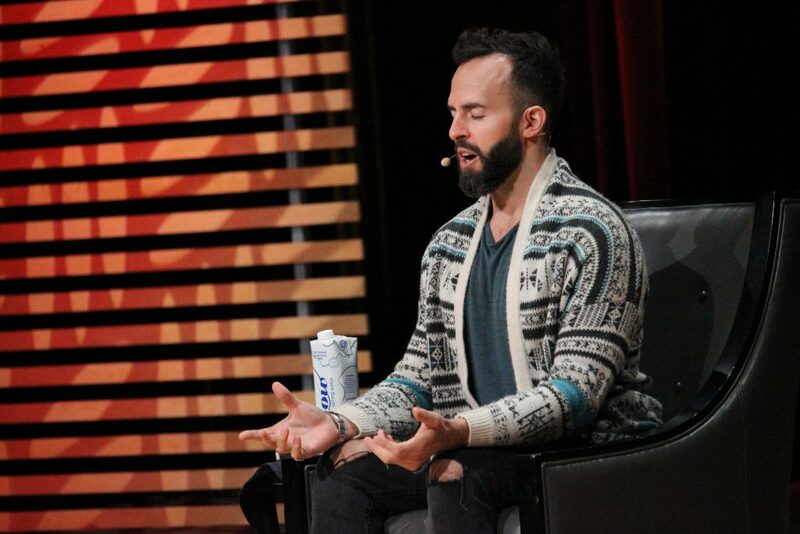 Brass led the entire audience with a guided meditation and gave valuable advice about how people within the social media industry can disconnect with their phones and ultimately decrease the stress and anxiety in their lives. 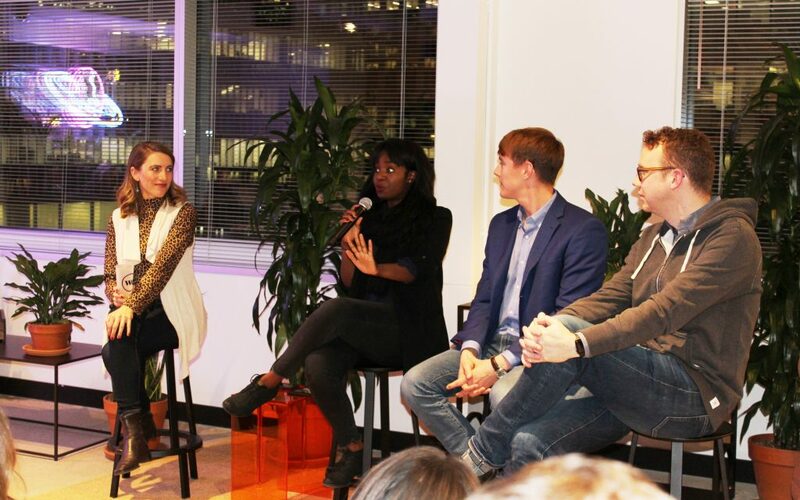 Later that evening, Sam Laliberte moderated a panel on The Power of the Podcast with Matt Sutton from Facebook, Dan Misener from Pacific Content and Takara Small from The Globe and Mail in Toronto’s brand-new WeWork location. 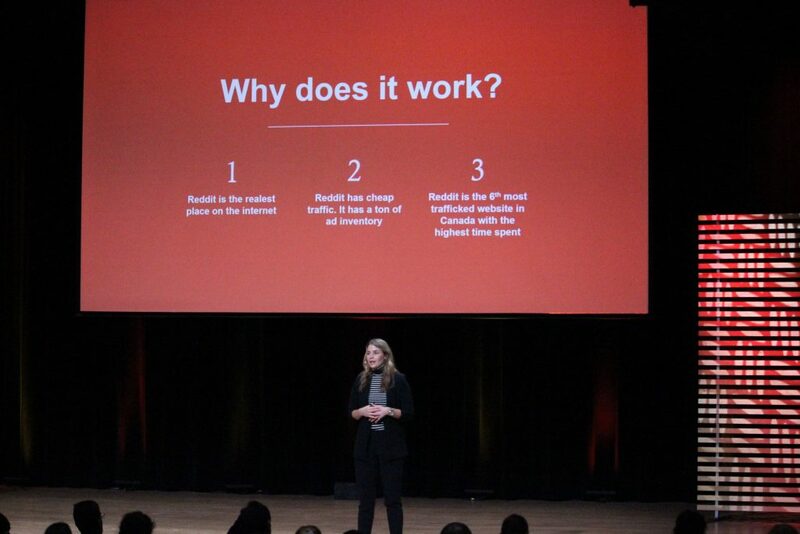 At IQ Studios, the Ryerson Innovation Studio shared ideas on how we can reimagine the way we use digital social tools to promote, engage and entertain increasingly savvy audiences. 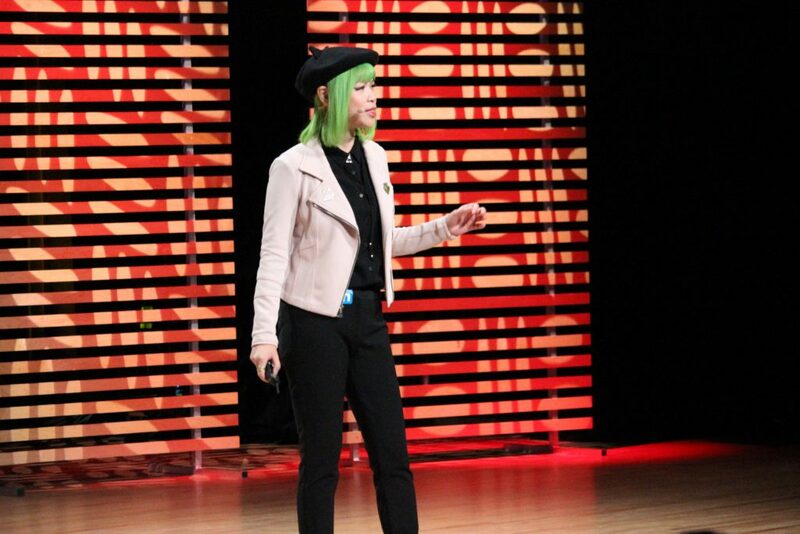 Plus, Lexie Buchanan, the Social Media Officer at the Art Gallery of Ontario, discussed Toronto’s love of immersive art, social media and art selfies. 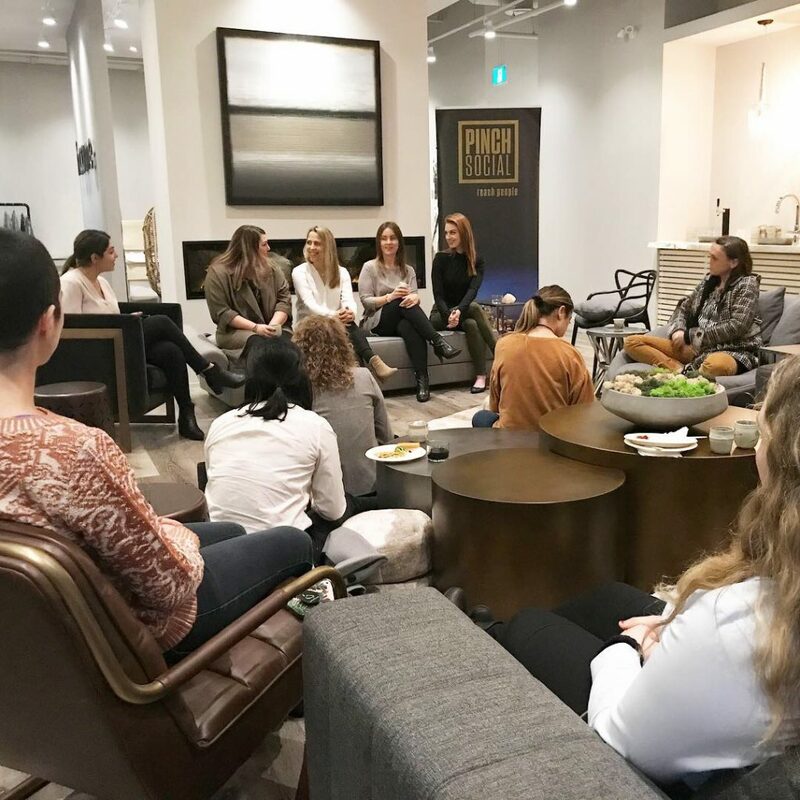 Later that evening, guests also enjoyed a fireside chat about the importance of unplugging and were treated to a private tour of Toronto’s stunning new meditation studio, Hoame. 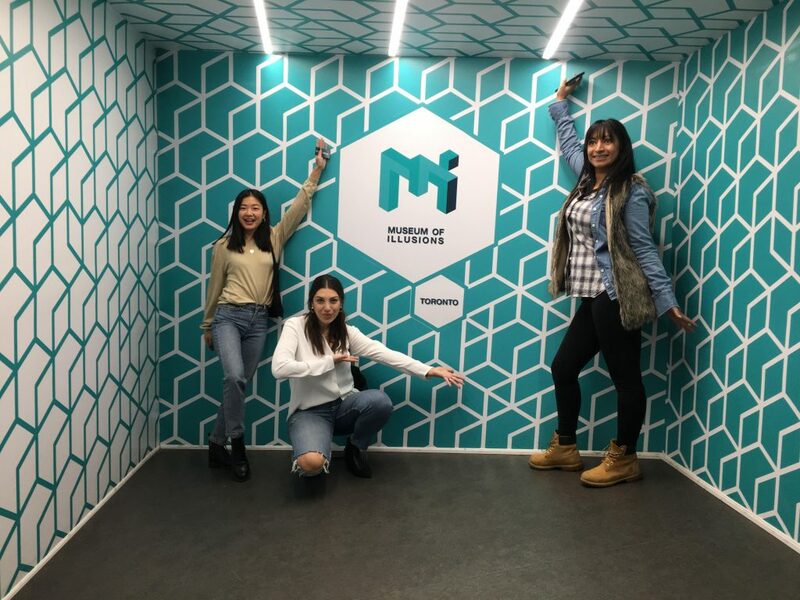 There was no better way to end Social Media Week than with exclusive tours of Happy Place, a massive pop-up experience filled with larger-than-life instagrammable installations and the incredibly fun multi-sensory immersive rooms of the newly opened Museum of Illusions. 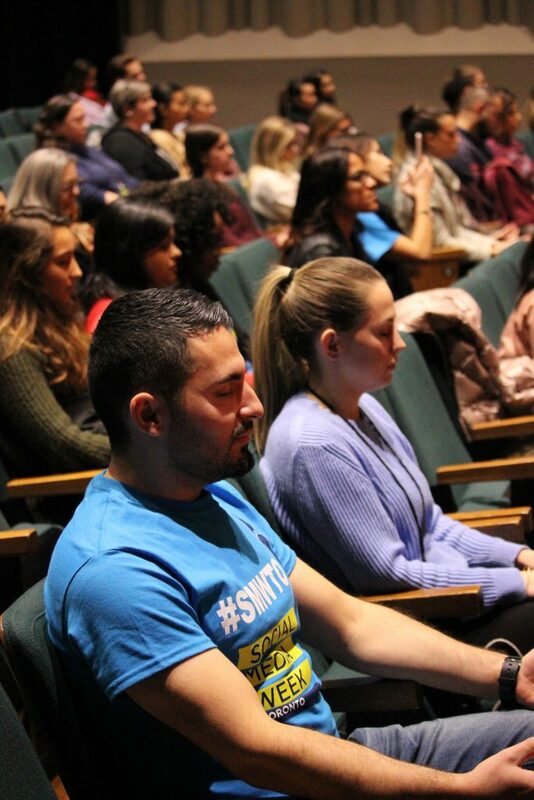 Visit our Facebook album HERE for even more photos of SMWTO 2018.